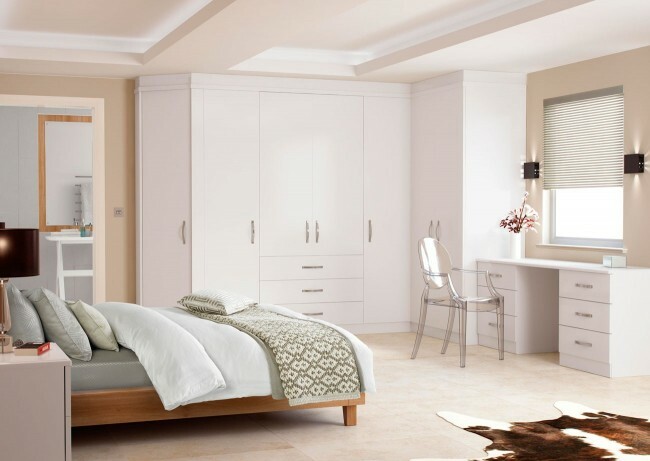 Your bedroom, more than anywhere else in the home, should be a nesting place – somewhere to retreat from the trials and tribulations of life and feel cocooned and relaxed. So if it’s looking a little bit shabbier than perhaps it once did, it might make you feel a little less than serene – you may find yourself looking at the faded furnishings, the dilapidated paintwork, the threadbare carpet or worn wooden floor and the cramped space which has gradually filled up with new things over the years. 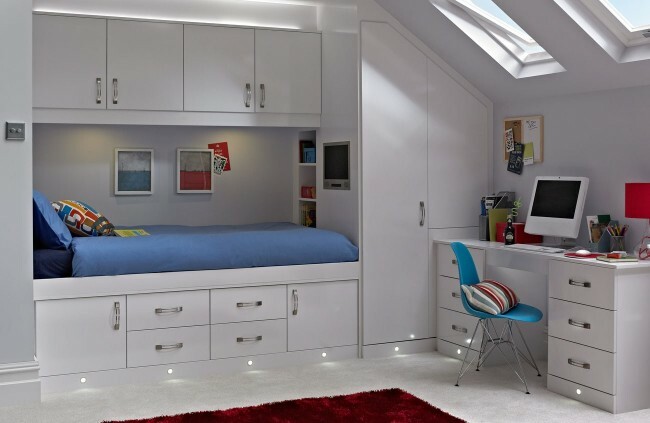 These things can and should be rectified, returning your bedroom to the haven of tranquillity it should be. Read on for some ideas as to how. One of the quickest, easiest and cheapest ways to give a room a new lease of life is via a fresh lick of paint. What colour or shade you choose is entirely up to you, but it’s a good idea to consider the size and amount of natural light the room has. A smaller room will always look larger when painted white or another light colour, but that’s not necessarily what everyone wants – some people like the cosy effect that deep red or midnight blue has on a room, regardless of its size. It all depends on the ‘feel’ you want to create. 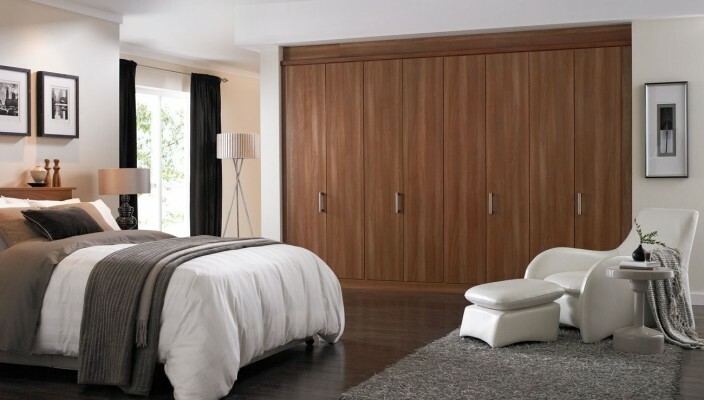 If space is at a premium in your bedroom and you want to go about sprucing it up without overhauling the whole lot, perhaps consider having your outwards-opening wardrobe doors replaced with sliding ones. If the problem is more about claustrophobia than storage, the old trick of placing large mirrors opposite windows to bounce light around and create the impression of a bigger, airier space, is one that rarely fails. 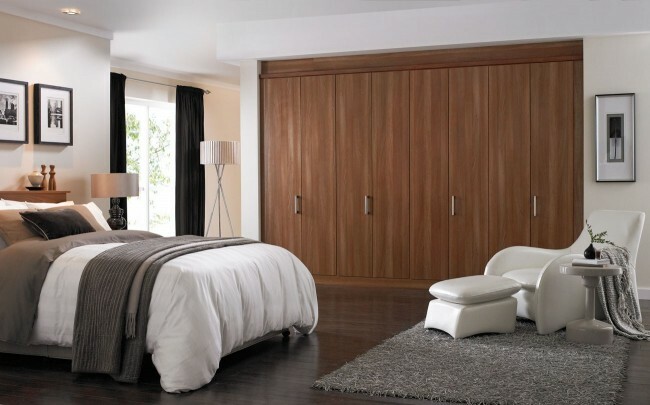 You can change the whole look of your room without refitting it, especially if you have particular style in mind. Maybe you want to go for a boudoir look, with red velvet drapes, fake-gilt mirrors and thick white shag rugs. Perhaps you want a minimal look, which could involve clearing all surfaces, painting the walls white and installing blinds or shutters in place of curtains. A vintage look will transform the room too – just decide on an era and visit second-hand shops for items to bring the look to life. Use your imagination! Carpets are fashionable again, having been less so for most of the ’80s and ’90s. Carpets are ideal in the bedroom; they create an insulated and cozy feel and absorb sounds, making them ideal for a place where you retreat to doze off every night. As this is the one room that gets the least footfall, your carpets, whether they’re deep or fine pile, will not get worn out so easily. Besides your bed and wardrobe, you may only have room for one chair in your bedroom. 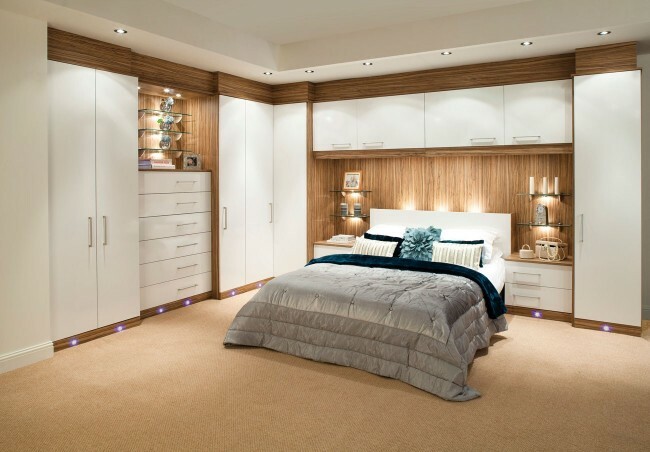 Choose this carefully, as it can change the whole look of the bedroom. The little details are key when it comes to furnishings, so why not check out bedroom accessories at Betta Living for inspiration? It’s all in the detail.